Newnan Chapel United Methodist Church is providing the community with a church family, who demonstrates love and knowledge of God’s word. We offer a variety of ministries that enhance spiritual growth, educational & cultural development serving the needs of young and old, male and female, saved and unsaved being aware and sensitive to the many diversities in our church community. To provide the community with a church family who demonstrates love and knowledge of God’s word, offering a variety of ministries to enhance spiritual growth, educational and cultural development…serving the needs of young and old, male and female, saved and unsaved, also being aware and sensitive to the many diversities in our church community. In the year of our Lord, April 20, 1840, in Coweta County, Newnan, Georgia, a contract for a plot of land measuring one 75 hundredth acres was drawn up for a body of men to build a Methodist church. On September 2nd of the same year, the sum of one dollar was given as payment for the property, and the same day a deed for the property was recorded. Rev. George Standing of Steneg Sussex, England was the first minister to serve the church. The old pulpit furniture was brought from England by Rev. Standing. His ministry began on August 22, 1842. Under the administration of Rev. Standing the church was officially named Newnan Chapel Episcopal Church. From the banks of the brook which ran through the property, the men dug clay, mixed it with sand and then poured it into molds to form bricks. This was done at night for the men had to work during the day. Women and children also assisted. When enough bricks were made, the present structure was built. The basement, vestibule, oak trees and steps were added later. 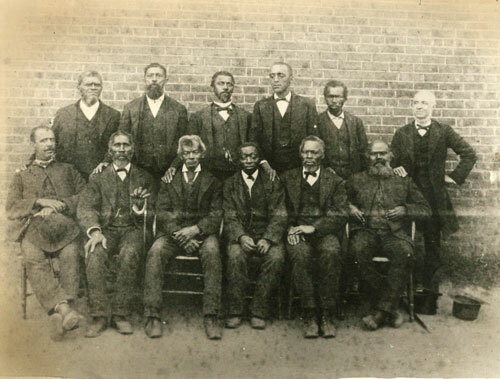 Black students attended school at the church with three teachers. 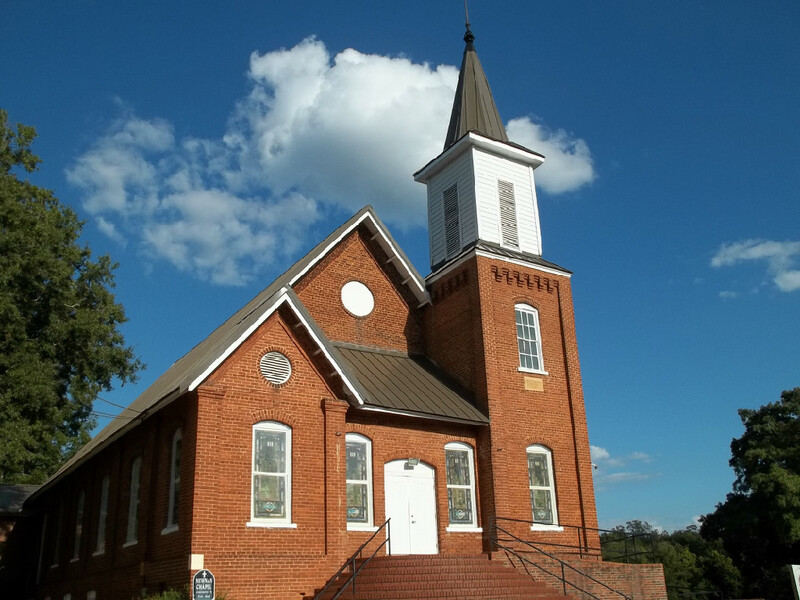 Since there was no community facility for large gatherings for people of color, Newnan Chapel Methodist church provided the facility for educational, cultural and recreational activities for community. Music has always been a very integral part of the church services, and as early as 1914, the choir music was enhanced with a trumpeter and noted musicians. Newnan Chapel was host on many occasions to college choirs and other musical groups carrying God’s message in song. The music ministry has evolved as well as a variety of programs in the church to enhance the work of the Lord and to provide for the community.